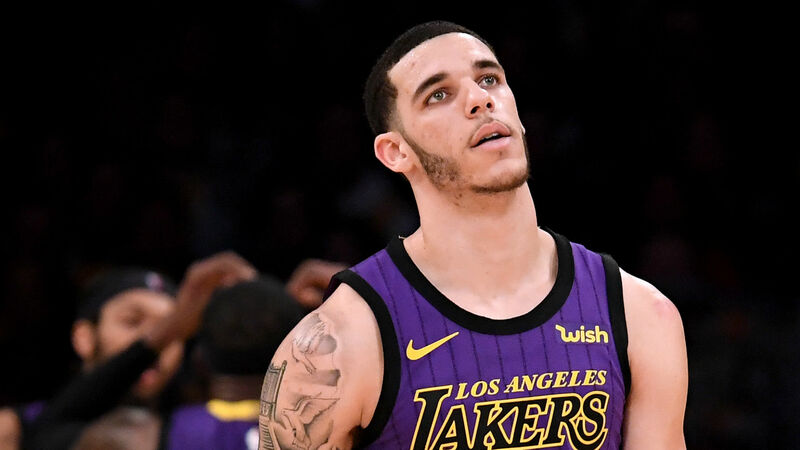 Over the weekend, Lonzo Ball announced that he had “severed ties” with Big Baller Brand’s Co-Founder Alan Foster. For those that have not been following the story, back in October Lonzo went to a financial advisor (Humble Lukanga) to talk him through his taxes as well as his assets but to his surprise, there was a little over 1.5 million missing and they could not complete them. Zo immediately told Lavar but due to Gelo and Melo, Lavar was preoccupied. It wasn’t until this past week that Lavar sat down and noticed the missing 1.5 million. Lukanga told Lavar and Lonzo all of this in October, but recently he disclosed that every meeting he tried to set up with Foster, Foster cancelled last minute. This is where it gets interesting. Lavar, Lonzo, and Alan set up the plan for Big Baller Brand and it was actually Foster that convinced Lavar to have Zo use BBB shoes as well as not sign with a rival account. Unfortunately, Foster had a reputation of setting up a business and then stealing from them. According to court records that ESPN acquired, Foster was sentenced to more than seven years in prison in 2002 for “pleading guilty to one count of mail fraud and two counts of money laundering as part of a scheme that defrauded 70 investors of $4 million. Foster was also ordered to pay $3.7 million in restitution to victims.” Ironically, right after his release, he met Lavar. Lavar released a statement that said that he supports Lonzo fully and that he is disappointed in Foster. Lavar said “Regretfully, I put my complete trust in Alan Foster to manage my son’s business affairs. At the end of the day, family comes first, and I support Zo wholeheartedly. Together, we will make this right.” This comes as a shock to everyone involved, even their fans. As an avid viewer of their reality series “Ball in the Family,” it’s sad to see this happen. Lavar truly wants the best for his kids and he believed Alan wanted that too. He was completely blindsided and it’s just a shame to see. So what’s next? Honestly, who knows? Lonzo posted a hint on Instagram which read “It’s only a crazy dream, until you do it.” That’s right, Nike’s slogan. I would love Zo to sign with Nike because maybe the BBB shoes were the issues for his ankles. So what about BBB? All signs seem to point that it is gone. Melo commented on Zo’s pictures “thanks for getting us out G” which seems to point to the brothers signing elsewhere. Lavar put all this work in and eventually just got screwed by a man he treated as his brother. Shows you can’t really trust anyone anymore. If more news comes out, you know where to find it… follow us on twitter (Soft7Sports) for more.